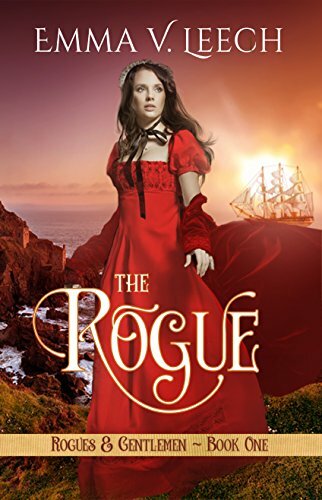 I love historical romances that have very strong and willful heroines, Henrietta is definitely that--and add in a pirate or two--I'm in heaven! Henri refuses to marry the man that her father made a deal with. She was to be essentially bartered to pay off his (her father's debt). She has an unexpected encounter with a man while shopping--she helps him to escape the authorities. As he is rushing off he drops a letter. After reading it she has an idea--she will blackmail the pirate!! Well that didn't go exactly as planned----but not exactly as I thought it would--nor will you!! There are several twists of fate in this one. Oh how I enjoyed reading this book and I think you will too!!!!! Along the wild and untamed coast of Cornwall, smuggling is not only a way of life, but a means of survival. Henrietta Morton knows well to look the other way when the free trading 'gentlemen' are at work. Yet when a notorious pirate, known as The Rogue, bursts in on her in the village shop, she takes things one step further. Bewitched by a pair of wicked blue eyes, in a moment of insanity she hides the handsome fugitive from the local Militia. Her reward is a kiss that she just cannot forget. But in his haste to escape with his life, her pirate drops a letter, inadvertently giving Henri incriminating information about the man she just helped free. When her father gives her hand in marriage to a wealthy and villainous nobleman in return for the payment of his debts, Henri becomes desperate. 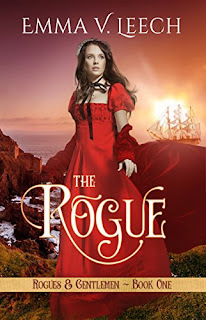 Blackmailing a pirate may be her only hope for freedom. 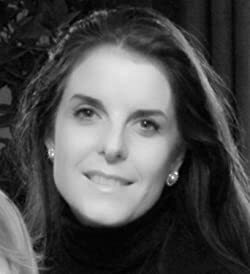 Emma's novels have garnered attention worldwide, and fans who continue to clamour for more through email, Facebook, and Twitter. This does sound like a very good book. I love a little intrigue in my historical romances. This sounds a bit earlier in time than what I have been reading which makes me a bit more curios. OOh another good one! Looking forward to reading this one for sure! This sounds like an interesting historical romance. I'm not much on romance books but I enjoy them mixed with history or mysteries. I would give this one a try. This book sounds good and hard to put down. I will add it to my list of must-reads. I love reading romance book! This sounds like a great read! i love her name! she seems like a spunky heroine! I really don’t read romance books. I don’t do the damsel in distress thing. But I do like historical background. I am really into mysteries and science fiction. Variety is the spice of life! I am a sucker for these kind of books. Especially pirates, every girl loves a bad boy! Wow the story is such a read. It’s very interesting and engaging too. I love reading books and this one is surely one for me.